The European Week for Waste Reduction (EWWR) is a European project (Life+ 2013-2017) promoting the implementation of awareness-raising actions about sustainable resource and waste management during a single week. It encourages a wide range of audiences (public authorities, private companies, civil society as well as citizens themselves) to get involved providing them with a toolkit with several project ideas and tools to make them happen. 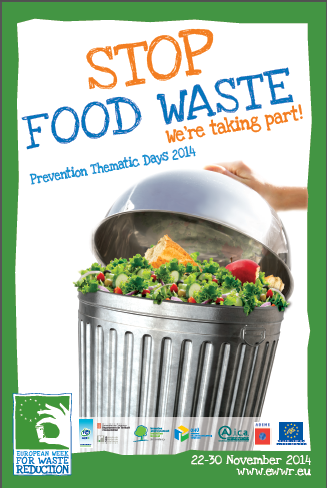 This year the focus is on food waste reduction. Brussels Environment developed a smartphone app with a lot of different recipes with local products and organised by month. For people without smartphone a website exists. These two tools aim to encourage people to eat local and seasonal products. 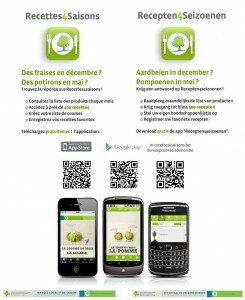 You can find a lot of recipes and the calendar of fruits and vegetables for Belgium. This event gathers 15 stakeholders of food production and transformation sector to raise awareness of people about urban food. A famous chef cooks Brussels products in front of the public. The different producers/transformers are also presented online via short videos.